Breach is a first-person military shooter that unleashes enough destruction to change the very nature of multiplayer combat. Crash ceilings on opponents. Create murder holes. Disintegrate cover. Punch holes through floors. Blow out walls. Collapse entire buildings. And, so much more. Will have to try the demo but like sixpackkiller said, First Strike is top of my priority list right now. Well i plan on having a review up by the weekend if you want to wait till then to decide on a purchase :) However as an early impression it's very exciting at first but quickly gets boring just as a warning to early buyers. While it has some great stuff (spoiled from other various games) it's laggy as hell and that's not good for an online multiplayer based game. 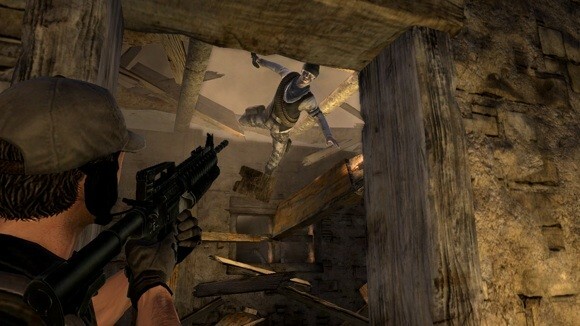 Technically reminds me of counter strike and overall gives an extremely dissapointing first impression. This was mean as DLC from the start, and it shows as it won't ever compete with its retail counterparts. Surely there is a lot to be enjoyed in it but definetly its price tag is a serious drawback from a selling point. Anyway I'd take this hands down instead any COD mappack, anytime. At least it's a new game (5 maps included, and a made from scratch game... the maps alone are more in quantity that COD mappacks offer for that price). While it has some great stuff (spoiled from other various games) it's laggy as hell and that's not good for an online multiplayer based game. Technically reminds me of counter strike and overall gives an extremely dissapointing first impression. This was mean as DLC from the start, and it shows as it won't ever compete with its retail counterparts. Surely there is a lot to be enjoyed in it but definetly its price tag is a serious drawback from a selling point. Anyway I'd take this hands down instead any COD mappack, anytime. At least it's a new game (5 maps included, and a made from scratch game... the maps alone are more in quantity that COD mappacks offer for that price). Cheers.